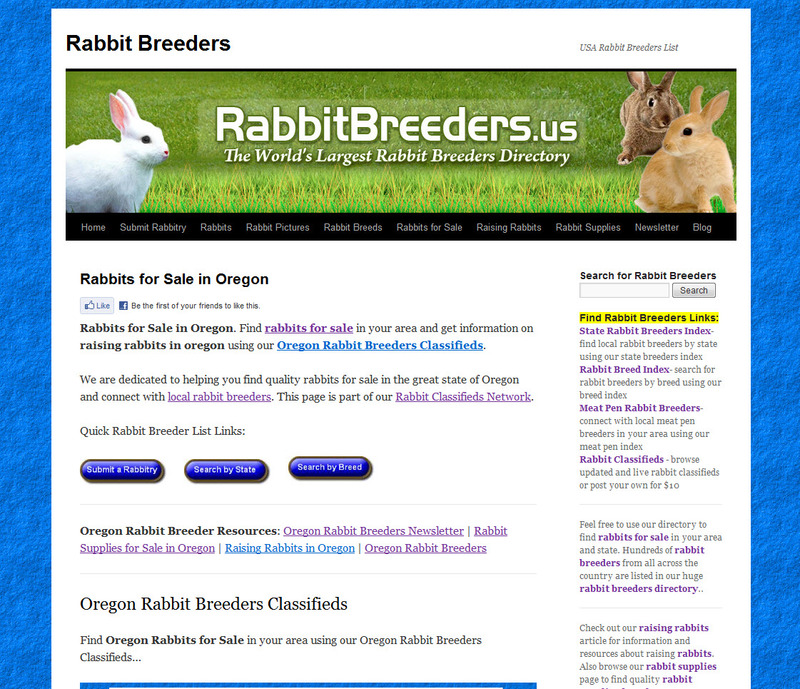 Find local Oregon Rabbit Breeders using our rabbit breeders directory or add your Oregon rabbitry to our list today. Proudly helping you connect with rabbit breeders in the great state of Oregon and find rabbits for sale. This list is part of our state rabbit breeders index. We raise beautiful show quality Holland Lops with wonderful blood lines, Marell’s is owned by Marinda Bennett & Raeben’s is owned by her Mother and sister Dale Bennett & Summer Carmona, Our lines are: L&R, Campo’s, BB’s,Bunny Hutch, DTL. Rosewood Rabbitry is based in Aloha, Oregon. We are a small rabbitry breeding only Netherland Dwarf rabbits. Our goal is to keep it a small rabbitry so we can offer the best care to and well-socialize each of the rabbits we raise. In this way they will be happy and comfortable around people so they are well-suited to be kept as pets. We are raising rabbits for quality not quantity and want the best. I have been raising Golden Palomino rabbits since 1991. I got my first Palominos from Gary Jundy. My favorite and most showable in 4-H and FFA was my herd buck Archie. He was large, handsome, and very gentle. I named him after Archie the comic book character because both shared reddish hair. Up until 2000 my rabbitry was Stark’s Lair but after I got married I named in after Archie (the rabbit). All of my rabbits that carry the name of Archie’s ____ are related to Archie. I am headed into my 10 generation of Archie related rabbits. I am also the webmaster for the Palomino Rabbit Co-Breeders Club. To see more about how I got started go to my website. I raise and show Mini Rex in a local and National level. I specialize in Black, Chocolate, Otter, Lilac, White, and the newest Mini Rex color, Silver Martin!! We have Beveren and New Zealand rabbits. Most stock is a cross from Red New Zealand buck and White Blue Eye Beveren buck and Blue Gray Beveren doe’s kits. Focus in 2011 primarily was for meat production. Now focusing on solid color body with facial features of white nose and feet. We raise quality rabbits for 4H, show and meat. We also have pet quality rabbits. We are located in the Willamette Valley in Oregon. We raise all 3 chinchilla breeds and have recently added purebred German Angoras and Belgian Hares as well. Raising dwarfs in the shaded group plus compatible colors. My goal is to raise dwarfs of quality type, color and temperament for 4h, open show and pets. Light grey, steel, white and black…quality friendly pedigreed Flemish giants, with champion lines! Exclusively raising Holland Lops in Bend Oregon. Over 15 years of raising rabbits. We are a small rabbitry focusing on the standard set by ARBA, will ship. Very nice growing NZ meat rabbits. Some pedigreed, all excellent growers. We have 4-H Meat pen rabbits generally available. Managed by a veterinary technician. Over 30 years of animal husbandry, with 20 years in rabbits. We dont show, but our lines have come from show and are bred for excellent confirmation and meat production. 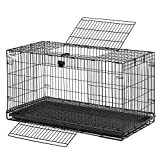 We are happy to supply 4-H meat pens at a discounted 4-H pricing. We are a small rabbitry in central oregon, we breed Holland Lops and New Zealands. All of our rabbits are high quality and all have pedigrees. Every time we breed we are choosing bucks and does very carefully to increase our rabbitry’s quality. Here at Central Oregon Lops we breed only the sweetest and most beautiful mini lops. We breed our rabbits for show and pet. We hope to expand our rabbitry in the future. Be sure to check out website! Gemini Rabbitry is a small rabbitry Located in Central Oregon. Our main focus is Chocolate Dutch, but we also breed Britannia Petites in REW variety. Feel free to visit our website, where you can see our newest litters, our show stock, and our breeding stock! Raising quality New Zealand show stock, breeders and meat pens. My rabbitry is very small right now, soon to grow larger, I hope. I will not be breeding my rabbits very often only because I do not have a lot of business. Small, sell to 4-H kids and locals for meat. I have a small rabbitry of holland lops and netherland dwarfs, in hollands I breed tort, broken, selfs. In netherlands I breed blk otter, starting in rew. We are a small rabbitry breeding show quality Florida Whites, Chocolate Dutch and Britannia Petites. Check out our website see if we have what you are looking for! We have been raising rabbits for 4 years and have 9 different breeds. My daughter started this project for 4-H and is expanding into meat rabbits for the market as well as for other 4-Hers and pets. Hello! We are currently raising Florida White, Dutch, Britannia Petite, and our Newest addition, The Netherland Dwarf. We are raising dutch in Chocolate only, Britannia Petite in REW only, and the Netherland Dwarf in Chestnut, White, and compatible tan varieties. We are located in Central Oregon and really enjoy raising rabbits for 4H and arba shows. We raise rabbits for quality, not quantity! We have about 22-24 holes at a time filled. We do our best to let each and every rabbit have equal attention and exercise. We let them out in a dog run (No dogs in it, don’t worry…) so they can run and jump, and do all sorts of things rabbits like to do. We also participate in rabbit hopping at the County fair, which is a new activity for us. We usually use unsold dutch mis-marks for this, as they love it so much! We also do our best to have any and all kits reserved before a litter is born, or a doe is even bred. We have about 3, (give or take) litters a year depending on the demand for breeding or show stock. If you have any questions, feel free to email us, or visit our website! We are nestled away in the Cascade Mountains of Beautiful Central Oregon. 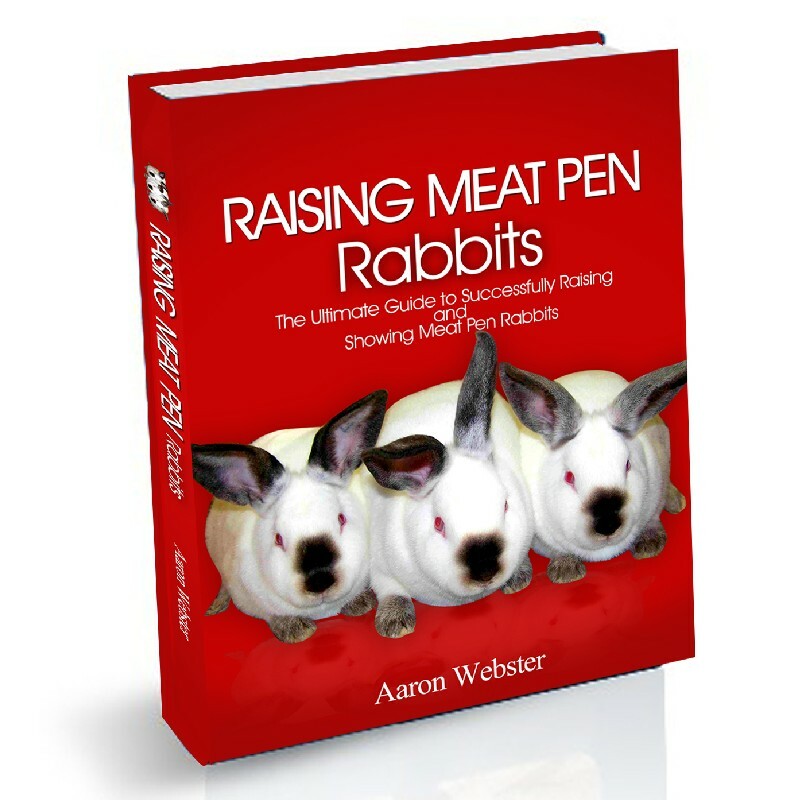 Raising New Zealand Rabbits. Our goal this year is to focus on our black New Zealand rabbits. If you have questions that our website does not answer about raising rabbits let us know, we are all ears. But please check out the website first, we have a decent amount of information on here. I raise Fawn Flemish Giants. Show and breeding stock available almost year round as well as pets. We’re just a small rabbitry with Holland Lops and hopefully we’ll expand to more 🙂 Plz visit our website for more info!!! Bought my Rex’s from a feed store in la pine a wile ago, they are last year’s bunnies, approximately a year or 8 months, have 12 right now, looking to sell for meat rabbits. For more information contact me on my cell for more information about Rex’s and other rabbits I have. I am a 15 year old girl and I have been raising rabbits for 6 months now. I specialize in New Zealands but I also have Giant Chinchillas and Californians. All of my rabbits are allowed out into our garden to roam around and get excersize everyday. I have 6 NZ does, 3 GC does, 1 Cali doe, and 2 mixed does. You can contact me at any time during the day and I will get back to you ASAP! I fell in love with rabbit breeding in college when a roommate and I decided to get some rabbits to live in our garden. I strive to breed the friendliest and sweetest natured rabbits. My rabbitry is small, averaging 5-7 adult rabbits at any given time. This is because my rabbits do not ever live in small stacked cages. Rather, they are house-pets or yard pets. The ones in the yard are free to roam in grassy pens as much as possible. The smallest pen they will ever be enclosed in is 3×8 feet in area and 4.5 feet tall. So they always have the space to hop around freely! I let them form their own social groups and rabbits who get along and groom each other are allowed to live together. I love the lion mane rabbit, so nearly all of my rabbits have this characteristic. Their ears range from upright to helicopter to fully flopped. I am going more toward upright natural ears though because I think this is better for the rabbits. I will breed once a year or once every two years depending on demand. My rabbits are small bodied, with friendly personalities and good instincts. 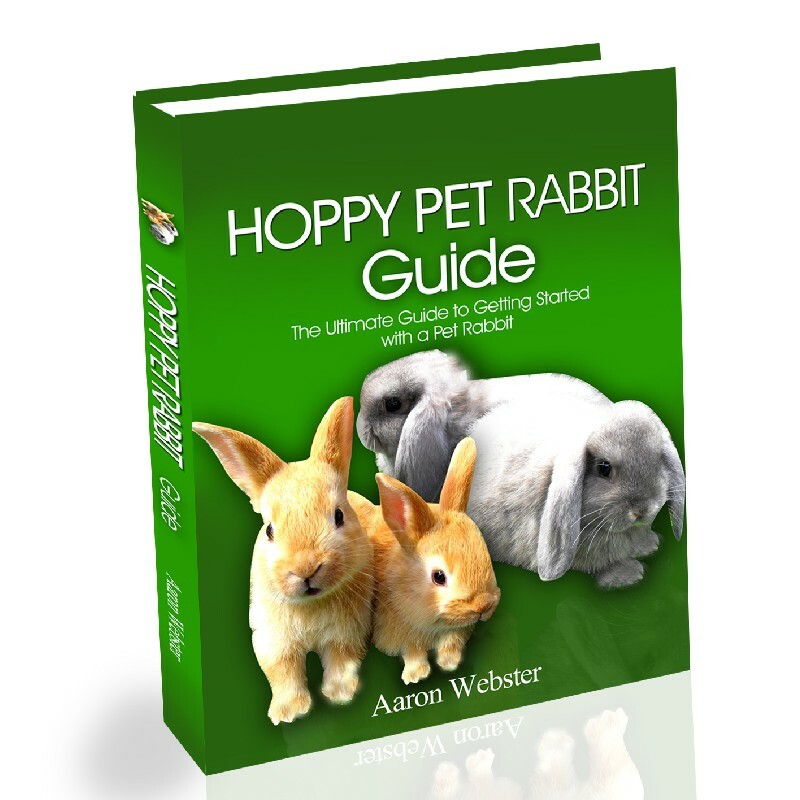 I know my rabbits very well and I can help any new pet owner get started on the right foot with a rabbit or two. I breed exclusively for pet owners and breeders. I don’t breed for profit so buyers find my prices extremely reasonable. I emphasize forming deep social bonds with these animals as they are very intelligent and we can learn a lot from them. We have 9 different breeds and are trying to get into commercial fryers. My daughter does 4-H with her rabbits and is planning on having fryer pens during fair time. We breed meat and fur breed rabbits, rare, exotic and dual purpose poultry, turkeys, guinea fowl, Ducks, geese, quail, pheasants, and peafowl with special consideration to heritage breeds and especially endangered breeds of poultry and rabbits. We also raise Livestock Guardian Dogs, practice organic gardening with the use of poultry and farm animals, with a focus on full-circle self sustainability. We are actually a horse breeding family with a self-sufficiency interest. We re-started a rabbitry after 15 years because of our growing realization that anything edible that you can provide for yourself is not only effiecient but also absolutely healthier! Currently, we focus mainly on pedigreed breeding stock production (most of our sales) but also sell pets and fryers of all of our varieties. I sell satin angoras and will be selling Holland lops… please Email my site will be up soon. Small scale Dutch breeder in the Willamette Valley. We breed black, blue, and tort colored dutch for 4H , pet, and show. My name is Tianna and my Rabbitry is located on a farm outside of Dallas, Oregon. My rabbitry holds 35 holes. My breeding focus is on English Spot, Lionheads and Red New Zealand. Rabbits are just wonderful and I really enjoy raising them. Feel free to contact me about my rabbits. Thank you. We raise New Zealand mix meat rabbits. Delicious and healthy for people or pampered pets. Our rabbits are fed very well. Their diet consists of home grown barley fodde, timothy or Alfalfa hay, a 15% protein pellet, and oats. Our rabbits are humanely raised and carefully bred to produce a tender, mildly flavored lean meat that has been praised by local chefs. They can way up to 50 lbs and they can come in a blue color. Our rabbits share Outlands and Bun’nays lines, aiding us in starting with strong foundation stock. We are members of the OLRCB, ARBA, and ANDRC and strive to produce beautiful show quality animals. Our rabbitry focuses mainly on the shaded variety. his is a small rabbitry located in Eugene, Oregon! The first rabbit I got was back in 2007. “Bella” was a broken castor Mini Rex. I started breeding mix-breed rabbits in the beginning of 2009 after I got Bella. With a Mini and a Holland mix. In 2009 I started breeding Purebred Mini Rex Rabbits and a few other rabbits in between there. In 2010 I fell in love with the English Lop breed. I started searching everywhere to find one. In 2011 I decided to just raise the English Lop breed. I finally got my first English Lop (Finley) in late 2010 from a local “for the fun of it” breeder. The English Lop have the greatest personality! Currently I am starting my own bloodlines in the English Lop breed. I do my best to breed good personality, health and overall balance into my rabbits. The name of our rabbitry comes from my first rabbit Bella, she was a Broken Castor Mini Rex. Broken ‘C’ stands for Broken Castor. In 2013 I began to add the Californian breed to my Rabbitry. Check our facebook page for updates! Hello We raise New Zealand for show, 4-H and meat. All rabbits are pedigreed, Giant Chinchilla’s are my show breed with Grand Champions in bloodlines, New Zealand Whites, Red’s, and Broken Red/White, Black/Whites, Californian, American Blue’s Flemish Giants. At any given time I have 60-150 rabbits to include Kits. All of our rabbits live in larger than normal cages and most of them live in warren type settings with multiple rabbits in one pen for a more natural social environment. These pens are on the ground and moved daily. Our mission is to preserve and promote heritage breed livestock. Along with preserving heritage breeds, we believe that all animals are to be cared for with respect, kindness, and caused the least amount of stress as possible. Our holistic approach ensures we have happy and healthy animals on our farm. It is important to GGHF to provide a life most natural to our animals. All of our farm animals are free-range. They spend their days roaming the farm grazing or browsing or swimming or dabbling or pecking or what comes most natural to the individual species. The majority of their sustenance is derived in this manner. We do not use hormones and we strive to use antibiotics as a last resort in cases of illness or injury. Blue Mountain Rabbitry is a small Rabbitry specializing in breeding quality holland lops. Blue Mountain Rabbitry also runs a rabbit rescue program, and has child services including bringing rabbits to visit at school activities, and hospital visits. We are a small mother-daughter ran rabbitry located in the Cascade Mountains of Oregon. We started out by getting a pair of Fuzzy Lops as pets in 2008, and one year later, decided to start our own rabbitry and get into showing and breeding. Now, we have raised and bred show quality Holland Lops and American Fuzzy Lops for the past seven years. Our Fuzzy Lops have the prefix “Mint Hollow” and our Hollands have the prefix “Mints”. The “Mint” part comes from our last name. We are a small 4-H/family owned Rabbitry and hobby farm specializing in show quality Rex, Champagnes and Cremes. I raise quality flemish in fawn and sandy’s. I strive to maintain the standard of the breed. We are a small lionhead rabbitry with focus on BEWs, VM & sports. We also are working on some shade colors like sable points, Siamese sables, seals, smoke pearls & also blacks. We raise pedigreed quality show, brood & pet lionheads that come from great lines. Specializing in top quality Hollands from champion lines. Raising quality fiber angoras for the discriminating fiber artist. At Running Roan Rabbit I raise show quality French Lops, New Zealands, and American Chinchillas from some of the top lines in the United States ! We are,looking for a pet bunny! That would provide companionship for my four year old daughter.She is very caring and Gentle with all life creatures. I also would be committed to teaching and caring for a precious bunny. We have a large well fenced in back yard. And lots of delicious organic vegetables. We have two beautiful bunnies that make wonderful little show bunnies. Our doe is a 6.5lb Chocolate and our buck is a 6.5lb Broken Chestnut Agouti. Small rabbitry and rescue. I am focussing on the three breeds listed. I have pedigree and non pedigree available different times through out the year. I also rescue and rehome unwanted bunnies. My rabbitry is home to close to 45 rabbits, including my own. If you are looking for a certain breed, I can help you locate it. I am hoping to add Mini-Rex and Jersey Wooly later this year. Email at HalfPintAcres@outlook.com Call or text at 503-983-8488. Thanks for looking. I also have a facebook page in the works. Keep checking for updates. Be A Jemz Rabbitry started out with a few 4H bunnies and have now expanded into a small, family business specializing in 4H and show quality Holland lops. Our lines include Bunny Hutch, Campo’s, KB Lop Bunny Hutch, and L&R. Our bunnies are raised by our young children and have great temperaments. I not only breed purebred show bunnies but I rescue rabbits that have been abused. Rabbits to be happy, handleable and suculant!! Our does average 10 large kits per kindle. They are not territorial or aggressive,as they have free range of our rabbit room . Our does hold their condition very well, produce tons of milk for healthy 9lb fryers at 8 weeks. We have white and opal does and bucks. Please call for prices on breeding stock. Hello, I am currently a small rabbitry, only owning around 7 rabbits at a time (at the most). I have always loved Holland Lops and in my opinion they are the sweetest, cuddliest, easiest to care for rabbits around! On average they only grow to be about 3-4 pounds. They are little love bugs! Our rabbits are handled daily and are well-loved. We have a pedigreed smoke pearl buck, a pedigreed broken opal doe, a non-pedigreed blue eyed broken chocolate purebred Holland Lop (who we don’t breed as often), and another bunny or two to come! Our smoke pearl buck has won 3-4 legs in shows and has a good crown, good ears, a fantastic head, and beautiful bone. He will have some nice show quality babies! Our rabbitry started with me and my mom with our Holland Lop, Thunder, who is the broken chocolate mentioned above. I am a youth (11 years old) and my mom helps me run the rabbitry. My love for bunnies started this rabbitry, although I couldn’t have done it without my mom. We have a a wait-list for Oakley and Opal’s babies. They will be bred on July 16th, 2018. Information on them and their upcoming litter is below. E-mail to be put on wait list. winter9166@gmail.com OR TEXT ONLY to 503-752-2104. Three wise lops is a new rabbitry to Eastern Oregon and we are very happy to be here. Got out of raising rabbits in 2003 and have now picked back up but this time with a breed I always longed to own but decided to bide my time and when it was supposed to happen it would and now here we are nine years later. HAPPY AS CAN BE! 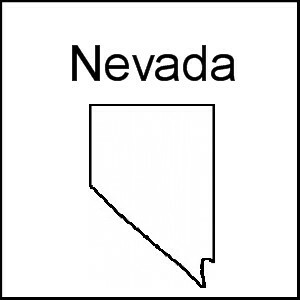 I raise New Zealands, Californians and Rex for meat, fur, and show. I also have experience with Flemish Giants and Mini Rex. I love to work with 4-H/FFA kids to get them good starts on their projects, with lots of help along the way. Feel free to ask any questions you have about rabbits and genetics! Wild Wings Farm is a small farm located outside of Lakeview, Oregon. We have been raising goats and market rabbits since 2012. We raise and sell New Zealand and Silver Fox meat and show rabbits (in several color variations). We enjoy supporting 4H members by supplying project animals. Please feel free to contact us for more information! We are a smaller scale rabbitry that raises Holland Lops, Mini Lops and Lilacs for show and meat (Lilacs) since 2010. We are 4-H and ARBA members. Our stock is proven with proven lines. Contact us or visit our website for further information. Beautiful hand tamed babies raised with lots of love and attention. Solid colors and brokens available. Johnson’s Bunny Briar is located in Lebanon, Oregon in the beautiful Willamette Valley. We raise rabbits for show, pet and meat. Specializing in Silver Fox, French Lops, Flemish Giants, Dutch, English Lops, Mini Lops, Netherland Dwarfs, Holland Lops, and even mix breeds. We are a small rabbitry that is “hopping” to grow. Right now we have just a few does and bucks from each breed, we are working hard to expand our rabbitry. Our cages are incredibly spacious to let our rabbits have lots of room to move and on nice weather days they get out into the dog x-pens to play around and enjoy the grass. Our rabbits are very social and love attention! We spend a lot of time socializing each and every baby bunny. We usually have rabbits for sale and I strive to keep the site updated. I am a veterinarian assistant who is working on becoming a certified veterinarian technician. The health of my rabbits are very important to me and I strive to provide excellent care. I strive to raise show quality new zealands in all the recognized colors plus blue. I regularly show my stock and improve on my herd by culling hard to maintain a quality herd of new zealands. I also raise them for meat, breeders, and pets. All my new zealands are pedigreed and only the animals meeting the standards will be sold with pedigreeds. I sell fryers to 4h kids for market rabbits as well at a reasonable price so the kiddos can make a profit from their hard work. I also raise pedigreed lionheads. I only breed them once or twice a year. I also raise new zealand/flemish/checkered giant crosses for meat. I get a faster fryer in quicker time than with the purebreds. I can deliver my sold rabbits free of charge to any show I am attending. 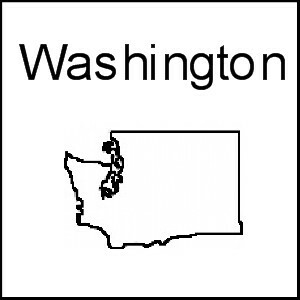 I attend shows in Oregon and Washington. I also offer transport to shows and anywhere I am going I usually post on facebook ect to offer transport. I have been breeding and showing Dwarf Hotot rabbits since 1992. And was a 4-H leader for over 10 years. I had the Best of Breed Rabbit from the National ARBA Convention in 1996 (Portland, Oregon) who was also the group three winner at the same show. I keep about 30 animals at all times but during breeding seasons, I can have more than 50 at a time. I often have a short waiting list when someone is looking for something specific. I will be happy to work with you. A small rabbitry raising only three breeds of rabbit. We are an ARBA registered rabbitry #D1098 located in Molalla, Oregon about 45 minutes south of Portland. We specialize in American Fuzzy Lops in broken and solid patterns. We work as close as possible to the Standard of Perfection in our breeding program concentrating on health and temperament as well. Our lines consist of AK’s, M&G’s, & Brian’s. Please contact us with any questions you may have! Here, we are focused on ONE color in two breeds: the Blue Eyed White Netherland Dwarf and Lionhead rabbit. All of our rabbits are quality, purebred and pedigreed. Our Lionhead foundation stock lines include: Aspenleaf, Legendary, Ariant, Mossy’s and Wren’s. Our Netherland Dwarf’s foundation stock lines are: Reese’s, Lone Star, Star Struck and Lil’ Bit. Our dream is to someday develop our own, signature BEW lines that are reliably consistent and uniform to type. While I’ve observed many people breeding this color, I’ve also see them become quickly discouraged when they aren’t progressing as quickly as other colors would. The vienna gene can be a challenge to work with, which can lead to people giving up too quickly. For this very reason is why I am dedicated solely to preserving and developing the BEW! It is so rare, and so striking, I feel that it is extremely important to keep these genes going and even more importantly – progressing properly! 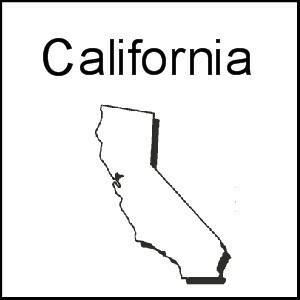 I raise New Zealands, Californians and Rex for meat, fur, and show. I also have experience with Flemish Giants and Mini Rex. I love to work with 4-H/FFA kids to get them good starts on their projects, with lots of help along the way. Feel free to ask any questions you have about rabbits! I raise Lynx, Chinchilla, Blue-Eyed-White, Red, Lilac and Brokens of all those varieties including Broken Black. I have 120-hole Rabbitry located in the country west of Eugene, Oregon. I have a small (50 hole) indoor rabbitry and I raise pedigreed mini lops. I strive to breed to the standard and attend as many ARBA shows as I can. I enjoy helping youngsters get involved in 4H and have often sold some of my best stock to a 4H’er. I almost always have a rabbit or two available for sale, just contact me! We specialize in all 3 chinchilla breeds. Our main focus is showing and raising breeding stock to the highest ARBA standard. Our residents are housed in large size hutches to provide optimal freedom of movement and health. Small rabbitry breeding for show quality as well as pet, brood quality rabbits. We do 4-H discounts! Hello, my name is Kylee. I am located around beautiful Philomath OR. I currently breed Non Pedigreed Mini Rex, Non Pedigreed New Zealand Reds and soon to be Pedigreed Mini Rex. I’m also a member of the ARBA. Feel free to check out my website to see what’s available. We currently have German Angoras but are looking at adding Dwarf Hotots to our rabbitry. We sell German Angora Kits. We also have Angora wool for sale. We are a small rabbitry with only two does and one buck, but we will be expanding our rabbitry soon. Blue Color Flemish Giants- Show Quality, Breeding stock and Pets. Very well socialized! I am a 15 year-old 4-her who breeds this wonderful animal. We specialize in high-quality, show-quality Satin Angoras. We breed for the best and only the best. We are having new rabbits brought in to our rabbity soon so that will be exciting! We feel we have a good website that helps answer questions. If you don’t find what you’re looking for…just email us. Celestial Farm specializes in top quality fiber and show Angoras. High yielding, non-matting, non-molting coats, excellent temperament, and good conformation mark these versatile animals. Truly a triple purpose breed – Wool / Meat / Show. Many Best Of Breed awards to our credit. All colors and white. Our Pedigreed holland lops come from great blood lines and champion lines such as Campo’s. We specialize in high quality, pure-bred Satin Angora’s. We work with all colors but specialize in Reds, Fawns, Torts (specifically Chocolate and Lilac), Pearls, and Dilutes. We are on hiatus through all of 2016 but will continue breeding in Spring of 2017! NOTE: I had to re-submit this form because I gave the wrong website address. The web address you see down below is the real one! We are a small Rabbitry consisting of only Lionhead Rabbits. We started off with one Pet and adore Her so much that we expanded. Our rabbitry focuses on the health and happiness of all rabbits. For this reason, all rabbits have several hours per day of cage-free pleasure through our fully enclosed back and front yards. They are provided with organic feed and fresh fruits and/or vegetables from our garden daily, and are given a lot of love and attention from our four children. Our rabbits live in clean hutches without wire mesh bottoms to protect their lovely feet from sore hocks. To maintain this level of care, we are a small rabbitry and will carry no more than 12 rabbits at any one time. We run a small scale family rabbitry. We love our bunnies! We have runs that allow them outside time where they get to stretch their legs. Our bunnies are handled by both adults and children. We pride ourselves on friendly, healthy bunnies. I raise French lops English lops Angoras and meat rabbits. We have been in business since 2014. We are a small rabbitry in central Oregon. We’re a mother and son run Rabbitry. The Rabbitry was started for my son and his great love for animals. We love our rabbits, each and everyone . We have Broken Blue, Blue and Red Satin rabbits, several varieties of Rex both Standard and Mini (Black Otter, Broken, Tri, Harlequin,REW, Blue, etc). My son’s favorites are Mini Rex and Holland Lops. We breed to ARBA standards, raising show quality and meat rabbits. We cull hard to ensure quality rabbits leave our Rabbitry. My son also raises Fancy Pigeons, Jacobin, West of England and Fantail. We are a small Rabbitry in Central Oregon. 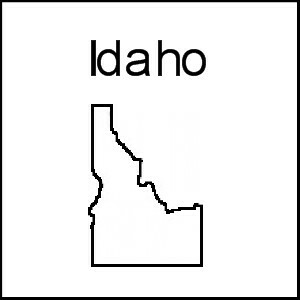 We attend many shows in Washington, Oregon, and Idaho as well as some others. We sell fully pedigreed Rex and Himalayans. We are a ARBA registered rabbitry raising quality French Lop Rabbits. My children and I raise rabbits together. We have New Zealands (red, white, broken red, blue, agouti, broken agouti, black, broken black), Californians, Flemish (white and blue), Holland Lops (tort, broken tort, black, broken black, blue, broken blue, blue tort, broken blue tort, sable point, broken sable point) and Netherland Dwarfs (himi, sable marten, smoke pearl marten, REW and brokens). We breed year round for the most part and enjoy attending rabbit shows when time allows. At Noble Furs Rabbitry, we take pride in raising these beautiful and gentle rabbits. Whether you are looking for a rabbit for show or just a good family pet…these rabbits are a great choice! Striving to raise quality Holland Lops near Salem, OR. Champion Mini Lops in Oregon. We have a small rabbitry of healthy and good quality French Sngora rabbits. We enjoy helping F-H groups , responsible pet owners and shoe rabbit enthusiastists select the perfect French Angora who can bring them joy and a happy home for years to come. We specialize in knowledgeable after care and high rates of success. My sister and I decided to start this rabbitry together. I have been in 4-H for four years now and have been really enjoying it. So I decided to get even more involved and start a rabbitry. We breed show quality Satin Angora’s. We specialize in Tortoiseshell, Fawn, Chocolate Agouti, Ruby eyed whites, and we will sometimes get surprise colors. We will be showing off and on at ARBA and 4-H shows. We will only be breeding about three to four times a year for the health of our rabbits. All our rabbits are groomed often so that they stay mat free and so that they are friendly and used to being picked up. All of our rabbits are purebred. We do our best to breed high quality rabbits. We are breeding for quality not quantity at Sparkle A Rabbitry. We mostly have brood, show, 4H available, but we also have pets from time to time. We are focusing on Torts and Sable Points but we also have broken black otters every now and then. Check out our rabbitry. We are always happy to help and reply to email within 24 hours. We are located in Scio, Oregon. At Diem Rabbitry, we breed quality New Zealand rabbits for meat and show. We select does and bucks for conformation according to the ARBA standard of perfection and place further emphasis on animals that gain weight quickly and efficiently. We also select for does that produce large litters and have good survival rates. Established in 2016, please email if you have questions. Thank you! Currently breeding Mini-Lops because of their docile personalities and size (for my young children). I breed for temperament, body, and of course I am working for the color!…..CHOCOLATE! Broken chocolate and chocolate are my two VERY FAVORITE colors! All my bunnies have champion lineage and are very loved. We are a small rabbitry in Southern Oregon specializing in both Japanese and Magpie Harlequins, Blue and White Americans, and Champagne D’Argents. All of our stock is fully pedigreed. Litters are born every two to four weeks nearly year round! Contact us for more information. I started my Rabbitry in 1985 in Wasilla, Alaska. Founded the Alaska Youth Rabbit Breeder’s Association. I Raised New Zealand Whites, Chinchilla Satins and White Flemish Giants. My New Zealands won champion status but they were out of Fibber Magee’s stock. I was mentored by the former President of the Alaska State Rabbit Breeder’s Association Robert Fowlkes who with his wife Le treated me like a son. Nita Boatman inspired me to be a Judge and I am happy to finally be reengaging in that dream. I am the proud father of three little boys who are my helpers. I am so looking forward to establishing relationships with other breeders and helping out however I can with shows and clubs here in Oregon. Breeding quality Japanese and Magpie Harlequins in all recognized colors, focusing on Blue and Black Japanese. Partnering with Run A Fowl Farm in Central Oregon to improve our herd and maintain genetic integrity. Breeding to standard with color, clarity, growth and type. Would love to see more Harlequins at the shows and meet more breeders, so feel free to contact us today! We raise healthy & spirited rabbits. We strive to raise the best quality possible in our breeds. We cull hard and sell even our best! Whispering Meadows Rabbitry is a small Rabbitry. Although we do raise crossbreds for meat our mini rexes are at the top! I am starting small (I only have a trio) but I hope to soon enlarge and refine my rabbitry. We have fryer rabbits for sale. Nice tender fryers. All organic, locally grown here in Warren Oregon. Best meat to eat with the highest protein per pound, highest meat to bone ratio, lowest fat, lean and tasty. Well fed, well taken care of and humanely treated. 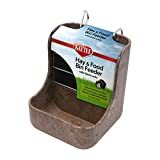 No antibiotics, alfalfa and organic fed. $20.00 ea Cash, firm on the hoof. 5lbs+ come to about ~3.5lbs dressed. Please bring a suitable box or carrier for transport. Will instruct in slaughter and butcher for free however, a $5.00 disposal fee is required. (you provide your own packaging or +$2.00 instruction vacuum materials). No packaged meat available. Please do not ask. We have around 20 rabbits plus babies. We have mostly Lionheads and Velveteen Lops and a breeding pair each of Holland Lops and Netherland Dwarves. Our rabbits are well cared for and are all purebred and pedigreed. ARBA registered. Website coming soon. We sell high quality New Zealand rabbits, specializing in blues. We also have whites, blacks and brokens. We also breed chocolate and broken Polish rabbits. Stump Acres raises quality Californians, New Zealands (in white, red, black, blue, and broken), and Flemish Giants. Standard Rex in Black, Grey, Black and Tan, Grey and White. All are beautifully marked and unique. No broken coloration. All friendly and parents on site. Asking $25 for males and $30 for females. Please call or test for more information and pictures. Camo Creek rabbitry is a small rabbitry (Under 60 Holes) Dedicated to improving our breeds and varieties. I am also a local 4H leader. If you don’t find the rabbits that you are searching for in the state of Oregon, I suggest that you check out the breeders directories that we have assembled for the bordering states of California, Idaho, Nevada and Washington. Locate rabbits for sale in Beaverton, Eugene, Gresham, Portland, Salem and many other cities across the state of Oregon using our classifieds. 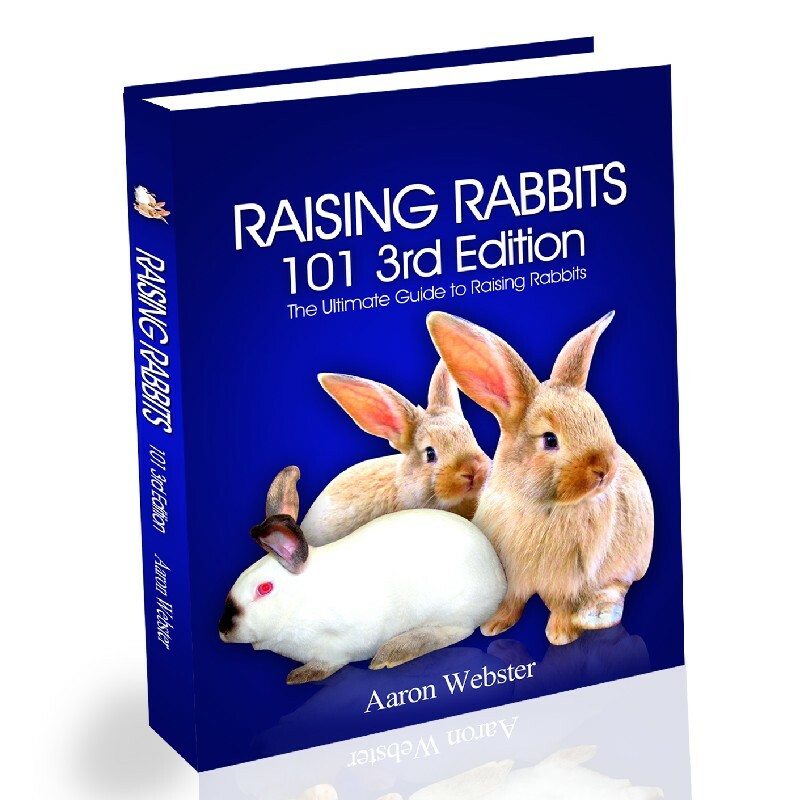 Be sure to check out raising rabbits article and resource page for information about Raising Rabbits in Oregon.